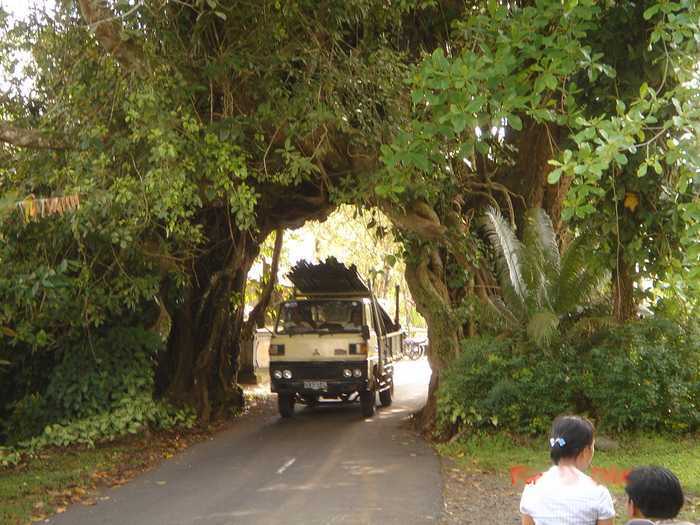 Bunut Bolong is a big banyan tree located in the middle of the road, which has a hole at the bottom of the tree, and the hole into which the vehicle crossing over the road below. 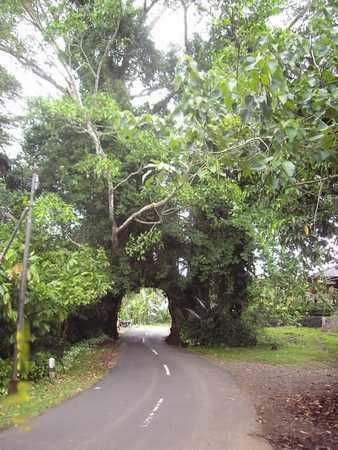 Bunutbolong tree, located in the Bunut Bolong village, Pekutatan, Jembrana regency, Bali. In the middle of the road connecting Jembrana with Buleleng regency, district Pekutatan with Seririt. Bunut Bolong tree is unique, because there is a hole in the base of the tree is very large. Holes can be traversed by a large car, such as trucks and buses. The hole is not formed from tree trunks, but formed by roots growing from a tree branch. Because these trees grow alongside the road, and its roots reach into the ground across the road, and the road is often impassable vehicle, then in the middle of the tree roots can not grow bigger. 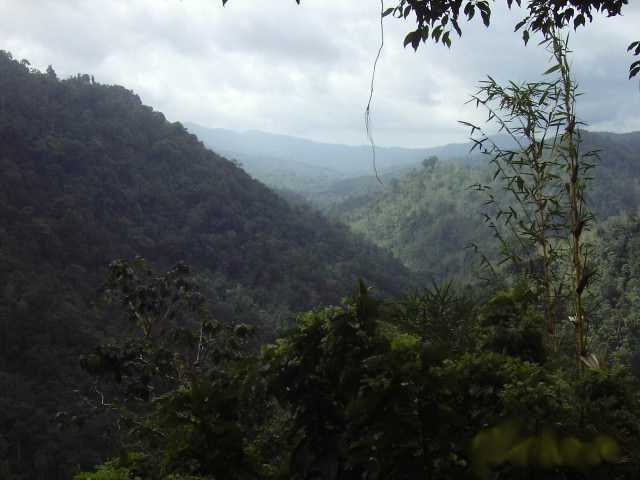 Bunut Bolong located in the highlands. Temperatures in region of Bunut Bolong quite cool and foggy. Next to the tree is a gap and clove plantations. The scenery is very beautiful gorge with green mountains. It is suitable to be a place of rest at a very tiring trip, when through the area. In the area Bunut Bolong tree was fit to be a place of rest while traveling away from Jembrana to Buleleng, or vice versa. There is a comfortable sitting area, and is located on the edge of a cliff with a beautiful view and cool air, away from urban pollution. There are also toilets and clean water. The east side of the street, exactly in the south Bunut Bolong tree, there is a small shop that sells food and drinks warm. There is something magical that is often told by people who live near Bunut Bolong tree. People who live there say, for whatever Bunut Bolong car through the trees, the car can through it. They believe, the hole in the tree can grow and shrink miraculously. Although no one has ever tested it, but it has never been a car there is a story that can not pass through a hole under a Bunutbolong tree. If you pass Bunut Bulong, do not forget to stop by and take pictures there as memories. Take the time to shop a little, so that traders who were there to feel the impact Bunut bolong beauty of the area.